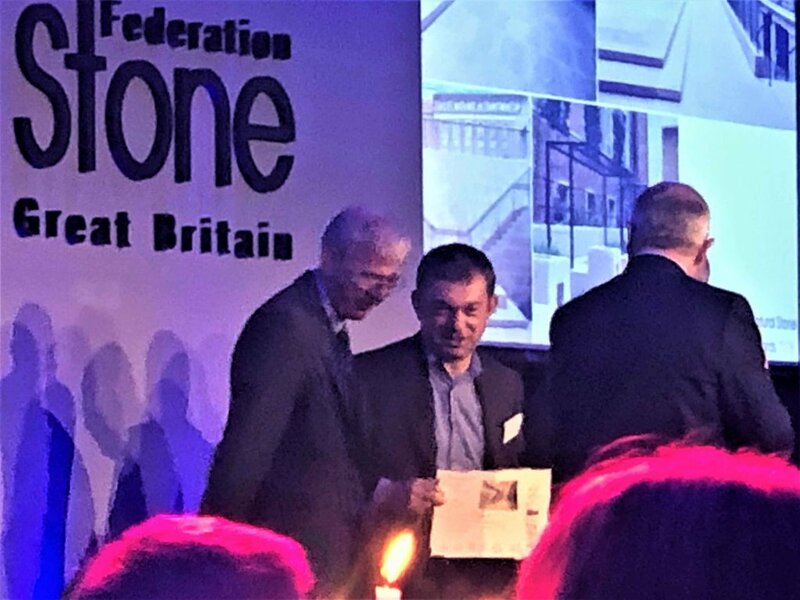 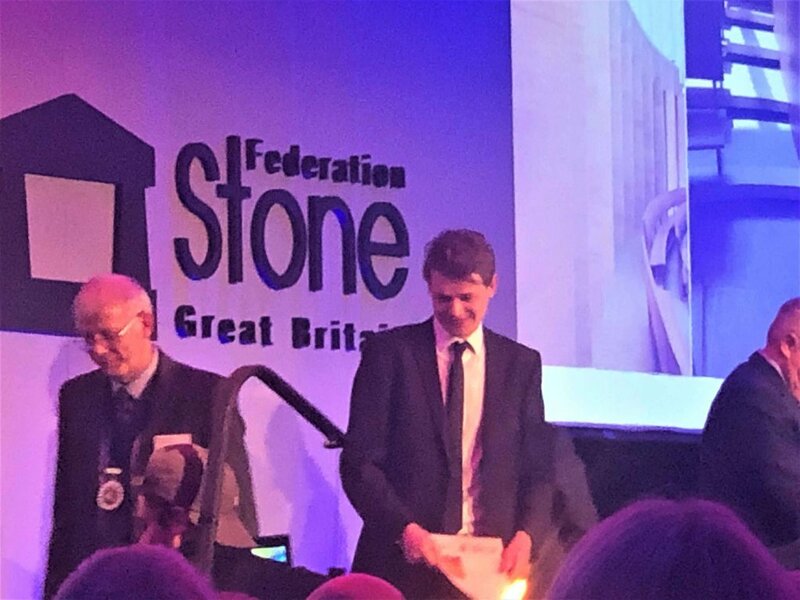 We had a great day recently at the 2018 Natural Stone Awards, with two of our projects, the Sultan Nazrin Shah Centre and Wilkins Terrace, UCL, picking up awards. 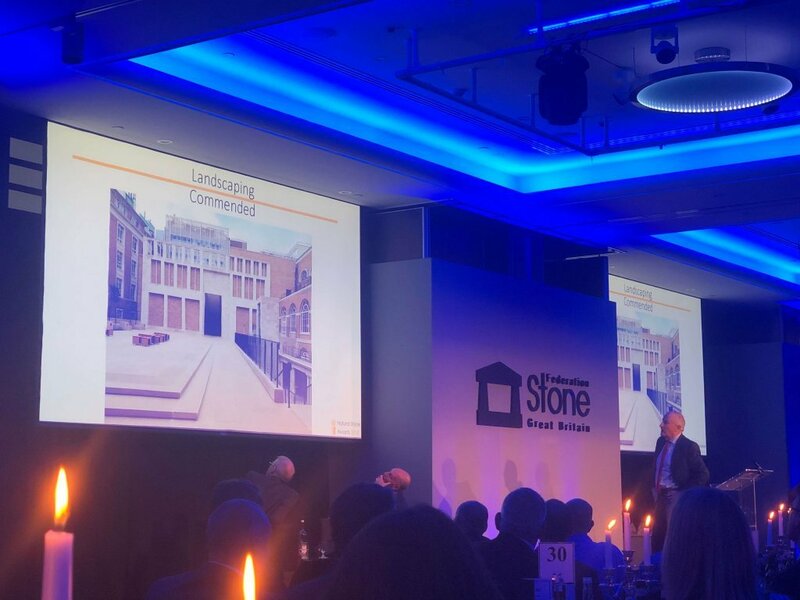 We were delighted to host two tables and entertain Alastair Crockett and Holly Galbraith from Niall McLaughlin Architects, on our Nazrin Shah table, and Matthew Goulcher, Tony Hall and Paul Martin from Levitt Bernstein, Grace Bradley from Potter Raper and Valerie Cooper from UCL on our Wilkins Terrace table. 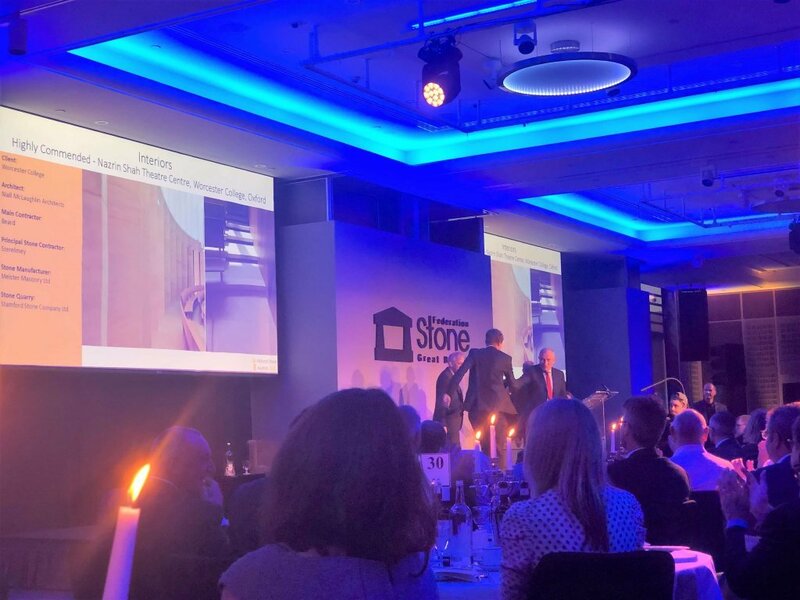 Jim Rosenthal managed to host the event and keep everyone in order with Loyd Grossman giving us an entertaining introduction to the awards, before being whisked off for another engagement.